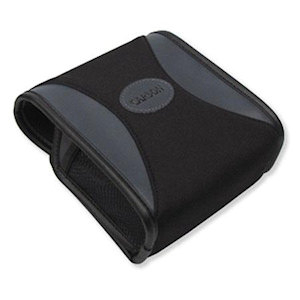 Carson Optical BinoArmor Deluxe Easy-Access Protective Case wraps your binoculars into a lightweight, cushioned, neoprene material that’s impervious to the elements. A strong magnetic enclosure system holds the case closed, keeping the binocular securely in place, all with an added wide elastic strap. This valuable protective case is also made for easy access so while your binoculars are protected when you are walking through brush, you can easily and quickly flip open and access your binoculars when an unexpected bird reveals itself.